Former classical musician Jess Graham, aka Wren, has gone out alone with this her debut solo EP. While I said former classical musician above, it is clear that while Wren may have moved from classical music, it did not move away from her! Indeed her classical training and great talent across many instruments drive the songs well beyond your average pop record. There is a mix of diverse instruments from the guitars, to the violin, to the piano. All of these are perfectly placed to both complement each other and create an astounding audio journey. The EP opens with Here, a dark and moody offering. Wren’s amazing musical ability is on show with a smorgasbord of instuments all arranged perfectly to complement each other and paint an amazing soundscape that flows seamlessly from quiet subdued moments to a massive anthem sound. The vocal arrangements are equally amazing, full of passion and emotion, they further add to the phenominal feeling and atmosphere! Kindred is a dark piano driven tune with a chilling trip-hop backdrop in the vein of Massive Attack or Portishead. The music is subtle with the various elements gradually branching out to take life as the song progresses. Wren’s stunning voice charges along with great force. Soldiers is a breathtaking folk pop tune with a vivid earthy atmosphere. Started out with a simple acoustic guitar the violin soon takes over to become the great hero of the song. With great precision the violin shapes the vibrant emotional soundscape. 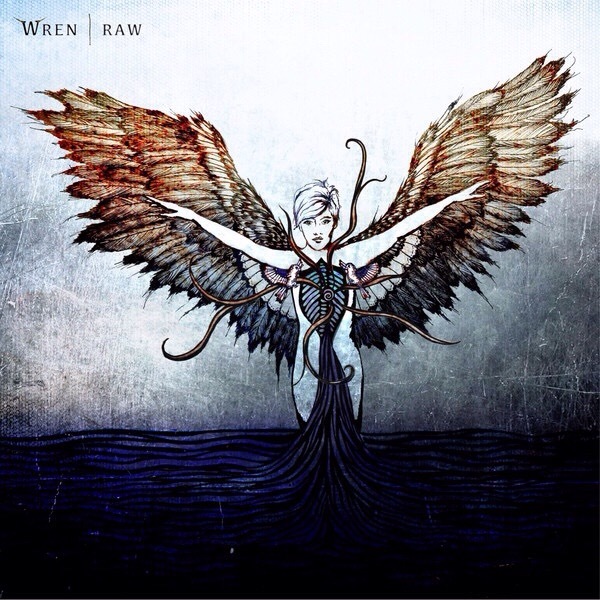 The racing violin solo towards the end creates an amazing twist to the song to add yet another dimension and further show off Wren’s phenomenal exhaustive musical talents. Alive is an absolutely beautiful indie pop offering. The mix of instuments create a vibrant atmosphere full of amazing colours and textures with the violin solo towards the end being a major highlight. On top of this Wren has an amazing voice that is full of stength and emotion. The elements all fit together perfectly to create something powerful, moving, and just simply brilliant! The EP closes with the instrumental title track. In the vein of My Friend The Chocolate Cake, the track goes off on an epic journey that is chilling, dark, yet fill of energy. This shows off Wren’s writing and performing ability creating an all encapsulating atmosphere that makes you feel like you are running out in the bush in the middle of the night! This is a phenomenal debut that really has left nothing on the table. So many ideas, sounds, and styles are crammed into the five tracks on offer. Yet somehow Wren has managed to arrange them so that everything fits together perfectly to create an extraordinary exploration in sounds. Wren’s debut EP is out now! Check out her website to find out more! Adding to my list of artists to get definitely up my alley!